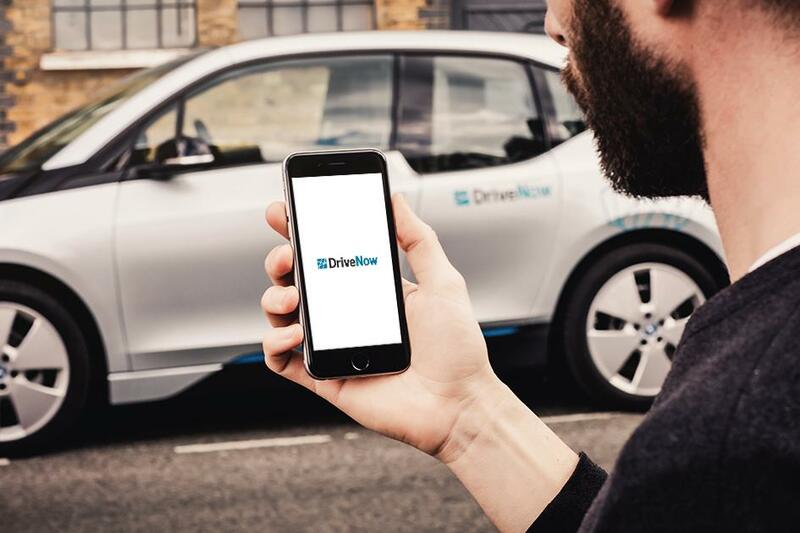 Using Handshake with DriveNow - no parking required! Looking for a parking space is a thing of the past! Our cars can be handed over to the next driver at the end of your rental, so you don’t need to look for a park spot. Find out how Handshake works below. In the DriveNow app, find and reserve your car, enter your destination and select "Offer car at destination" (Handshake). The car screen will notify you as soon as another person has accepted to take over the car at your destination. Once you reach your destination, stop the engine and – if the next driver is there – select ‘Handover your car’ in the app. The app will show if a car is available with Handshake and will mark its current location with an arrow. Select the car and you’ll be able to see the driver's estimated time of arrival. A simple click will reserve the car for you in the usual way. Once you've reserved the car, the driver's final destination will be marked on the app map with a flag, and you'll be able to follow the car's arrival with the arrow symbol. Found the driver of the car you've reserved? Wait until they’ve chosen ‘Handover your car’, then choose ‘Take over’ in the app. The Handshake is now complete! Jump in and make yourself comfy. Your rental begins – as usual – as soon as you enter your PIN. Important: If the next driver does not arrive to receive the car, you can leave the vehicle in any free parking space and end your rental as usual.